Hey there, welcome. Are you looking to unwind after conquering that latest 14er? Did you spend the day running laps around Wash Park and now you’re ready for something cold and refreshing? Maybe, just maybe, you simply need to get away from your rambunctious cousin Tevin who heard about all the cool things to do in the Mile High, and now, you could use some “me” time. Whatever the reason, there’s a friendly bartender with a friendly bar drink waiting for you. From tap houses and dive bars to classed-up cocktail speakeasys, we’ve dutifully listed out all the best bars in Denver for your drinking pleasure. Cheers! We are powerless to resist this spot that combines cocktails and coffee in one sleek package. The coffee, from local roastery Commonwealth, is served all day and night alongside creative cocktails like the Sesame-Chocolate Old Fashioned, as well as a small yet mighty selection of wine and beer. Order a few options from the cheese list and finally understand the joys of having all of your favorite things in one inviting package. 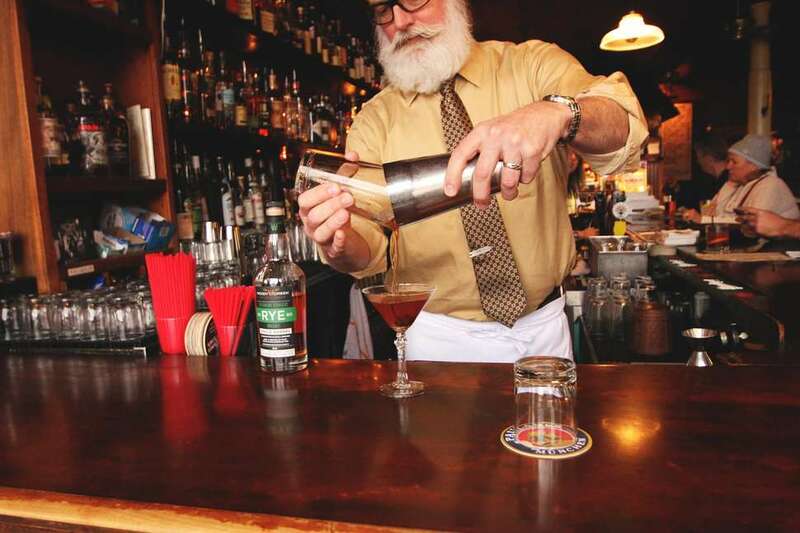 Opposite of Hudson Hill's modern, clean, bright, and airy atmosphere is this Colfax classic. Screw ambiance. You're here for the strong drinks (plus the free shot and rose for ladies), the jukebox that's likely had the same selection for the past 20 years, and the strangers who will soon become friends... if only for the night. Tucked behind the popular Adelitas on Broadway, this semi-hidden gem will have you exploring the wide and wonderful world of mezcal. 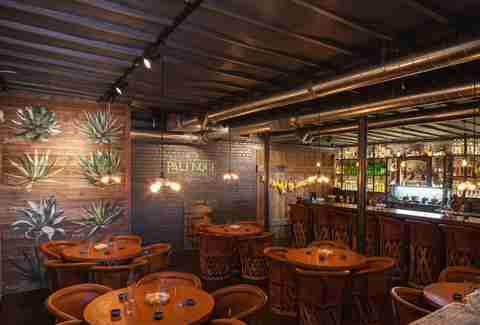 The staff is passionate about tequila's lesser-known, smoky cousin and won't hesitate to explain the nuances of the selections on the menu, as well as fill you to the brim with knowledge, booze, and tacos. The latter of which you’ll definitely need after sampling the diverse selections of liquid agave. Bask in the red glow of this old-school Denver legend that's officially been open since the day after the repeal of Prohibition. With sleek, art deco decor and killer martinis, Cruise Room in the Oxford Hotel can’t help but make you feel classy whilst you sip the night away. 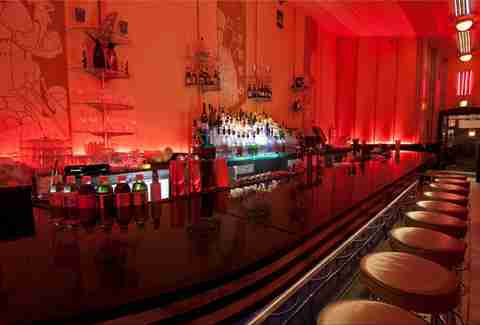 The bar itself was modeled after a bar on the Queen Mary and takes the shape of a wine bottle. 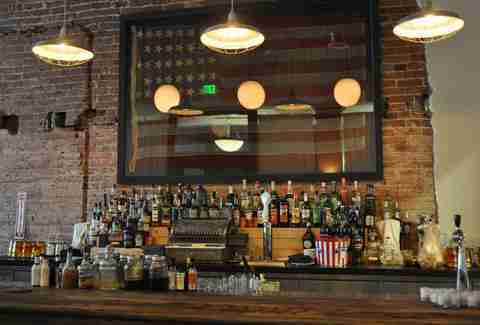 It’s a hotspot, especially since it’s been the longest continually open bar in Denver. 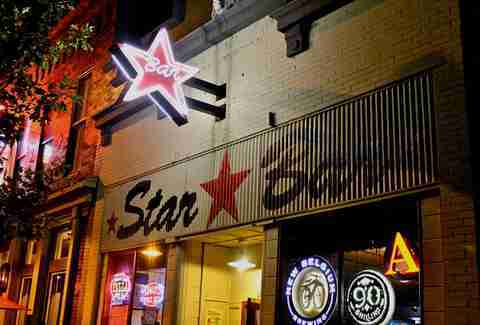 When a night out in Denver inevitably ends up at Star Bar, the next day is sure to be spent recovering. 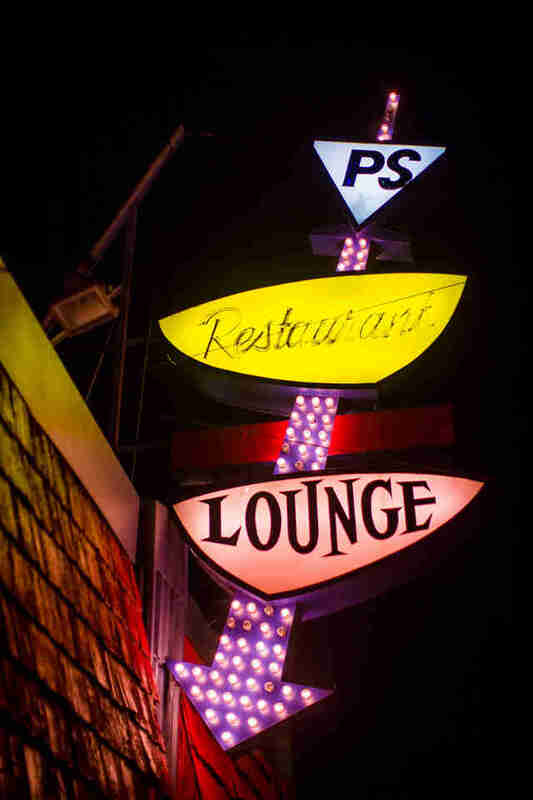 They've got a little of everything -- live music, rotating craft beers, Skee-Ball, video games, karaoke on Tuesdays and Thursdays -- and just the right amount of that dive bar temperament. Established in 1959 (and still going strong), it's the perfect escape from the typical dude-heavy LoDo/Ballpark bar scene. Wine and cheese lovers... listen up. TT is a neighborhood favorite, namely for its friendly cheesemongers that will guide you to some truly memorable cheese tasting experiences. It also boasts a seasonal wine list that always features gems waiting to be discovered (if you’re unsure, just ask). If the typical bar scene just doesn't appeal to you, try here. Namely for the all-you-can-eat raclette on Wednesday, because a bottle of wine and never-ending melty cheese cut from a giant wheel might be the greatest night in Denver, ever. 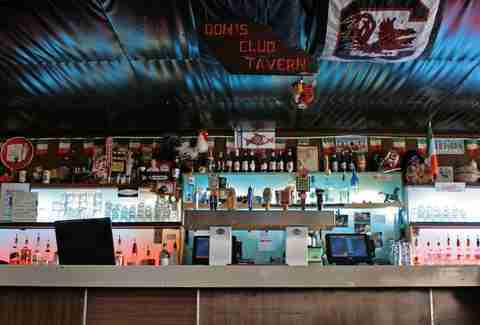 If you love sparking conversations with strangers, you're sure to find a few at Don's. 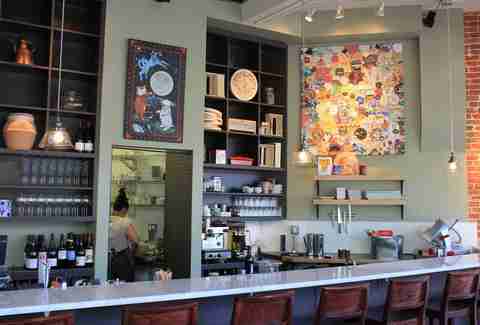 With a rotating cast of characters, this local favorite is by all definitions a dive. Let’s hit the checklist: cheap drinks ($3 wells), entertainment (Buck Hunter), and the unique ability to emulate a home you actually didn’t grow up in but feel effortlessly comfortable in nevertheless. Don's biggest downfall is that it masquerades as a Chiefs bar on Sundays, but we can forgive that based on their vending machine selection alone. It's stocked with the only food you'll find here: a random and ever-changing assortment of everything from frozen White Castle burgers (there's a microwave) to Spam. This spot manages to pull off that pre-Prohibition vibe while still coming off as cool (read: not kitschy/overly hip). The classic dark wood and exposed brick walls give it refined class, and the focus on elevated craft cocktails gives it the sass. The drinks served here are taken very seriously by the staff, all of whom share a very real reverence for the history of cocktails -- something you'll learn a little more about too from their informative and fun menus. 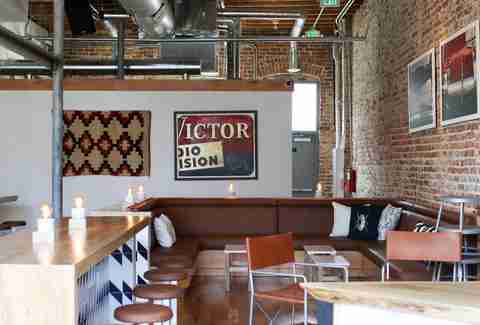 Part funky bar with a robust beer list, part food truck haven, this spot's got a lot going on. Pop inside to take in the shrine-like decor and order a drink -- the bartenders are more than happy to help you find just the right cocktail from their creative offerings (including a nightly punch). Then take your party out to the large open air patio where the smell of food will entice you to stay even longer. On any given night you'll find choices like Mile High Thai and Puerto Rican eats from Dos Abuelas. While Williams & Graham started the revived speakeasy trend in Denver back in 2011 (and is still churning out some of the best drinks in the city), this much newer addition has earned its place among Denver’s top watering holes thanks to an exclusive vibe and swanky decor that gives way to an experience that feels truly personal. 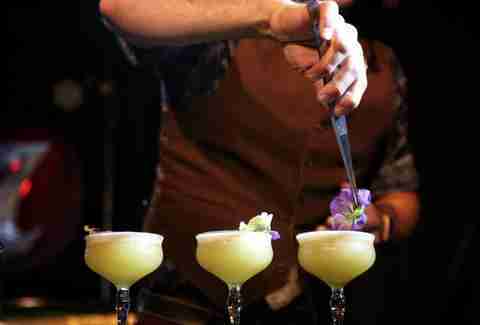 Though you have to know some tricks to get in (figuring those out is half the fun), once you’re there you’ll find bartenders that are as knowledgeable as they are friendly and open and ready to share stories as freely as they share cocktails like their oh-so-smooth olive-oil spiked spin on a classic martini. When it comes to beer, there are plenty of options in Denver. But Falling Rock remains a destination for beer nerds, thanks to its large, rotating selection of brews from near and far, including frequent releases of rare beers (check their website for offerings). 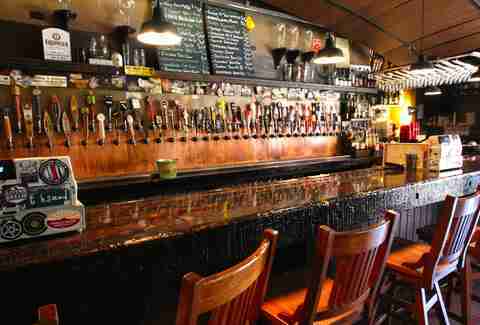 Its central location makes it a convenient stop before or after a ballgame, or just a pitstop on any Downtown bar crawl. 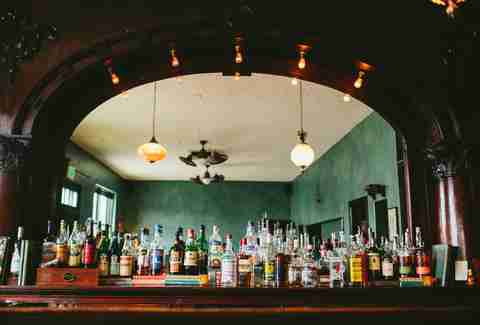 This small slice of old fashioned bar hospitality is the ideal destination when you need to unplug and unwind. 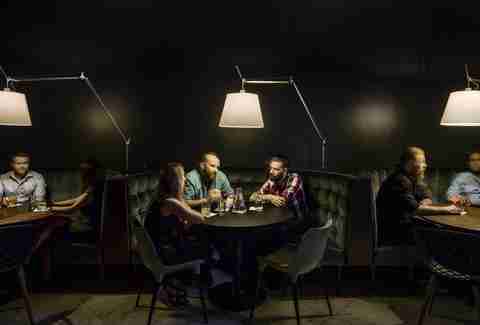 As the name not-so-subtly suggests, putting down your devices and picking up on real life conversations is highly encouraged here, and it’s easy to do with cocktails that will loosen you up in no-time. The drink list is short and features wines by the glass, craft beers, coffee, and both classic and modern cocktails like the We (Don’t) Work, a scotch based concoction that’s lightened up with hibiscus syrup and lemon. And though the kitchen is small, the flavors are big, especially when it comes to the selection of buns featuring fillings like miso pork belly, smoked brisket, and blue crab. Crushed blue velvet, sleek lines, and soft touches from nature combine in this gorgeous space that makes you feel more elegant just by walking inside. But this spot’s got more than just good looks. 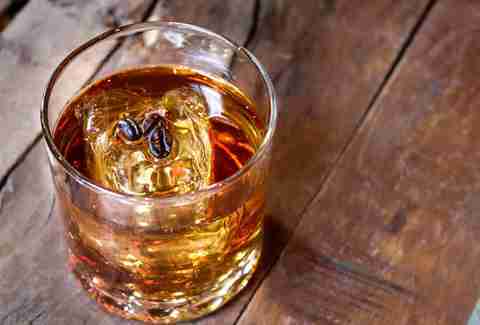 Their house-made spirits come to life in a selection of cocktails that highlight the nuances of each like the vibrant, floral Gin Blossom and the Coco Cold Brew featuring bourbon, coconut, and coffee. 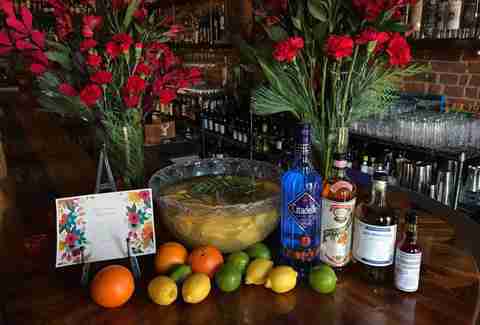 And unlike any other distillery in town, The Family Jones has a menu filled with food that rivals it’s drinks in quality so you’d be wise to add whatever seasonal treats appear whether its duck confit and carrot spaetzle or a delicate salad featuring Growhaus greens. Walking into this bar, it’s easy to picture Jack Kerouac or Neal Cassady bantering away in a corner wil sipping strong whiskey cocktails. And indeed, they did. This is Denver’s oldest bar, and it remains today what it’s always been: a dependable, low-key place to enjoy a cold drink and hot burger - complete with individual condiment cart so you can load on all the pickles you want. If sipping a sparkling French 75 while tapping your foot to live tunes sounds like the recipe for a perfect night out, then this is the place for you. Nocturne is a jazz and club that truly embraces their retro feel with a throwback vibe that oozes with old time hospitality. Tuesdays through Saturdays starting at 7pm, tunes fill the space from the stage where jazz is king and you’re free to let the rhythms guide your night as you watch from the bar for as long as you want the cocktails to keep coming. When it comes to drinking in Denver, beer, wine, classic cocktails and “craft” creations are abundant. 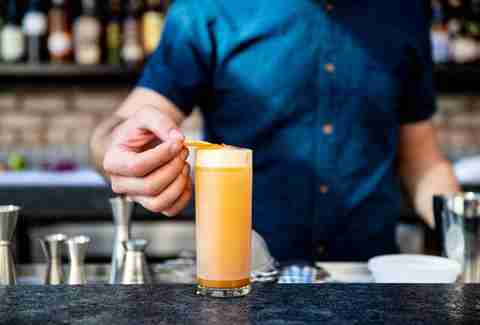 But this small spot has quickly taken the reigns when it comes to experimental boozy beverages that are unlike those found anywhere else in town. The entry is located in an alleyway where a single green light lets you know you’ve found the place. Reservations are your best bet for getting a table, and once inside, you’ll be treated to selections like an “ice sphere drink”-version of a classic Manhattan where the circular cube is smashed tableside letting the booze pour out, or the Gin Two Ways which gives you a duo of sips that highlight both the flavor of Colorado gin and the foamy texture of a classic gin fizz. What do you get when you drop a highly successful NYC destination for libations into a brand new hotel that has old Denver vibes in one of the city’s most vibrant neighborhoods? This. Don’t expect an exact replica of the original Death & Co. Instead, the team from NYC has brought their cocktail expertise and skills at creating a decidedly hip vibe into a new space that has an identity all its own. 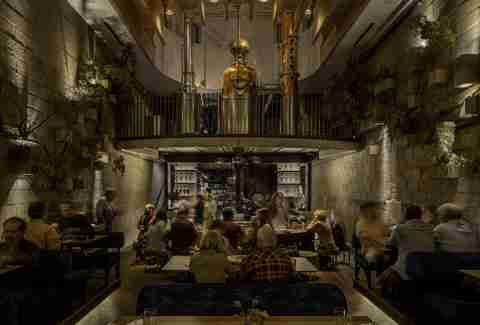 Actually, makes that spaces, plural, because besides the main lobby bar, upstairs there’s also a separate patio space upstairs along with a dark and intimate room, each with its own personality. But what they all have in common is killer drinks from a menu that’s divided into six sections including “Fresh & Lively,” “Bright & Confident,” and “Boozy & Honest.” Find your mood and settle in for a drink (or three). Molly Martin is a freelance writer in Denver who is always on the lookout for things to drink. Follow her Mile High adventures @mollydbu on Twitter and Instagram.